What do you think cloture means? The only procedure by which the Senate can vote to place a time limit on consideration of a bill or other matter, and thereby overcome a filibuster. Under the cloture rule (Rule XXII), the Senate may limit consideration of a pending matter to 30 additional hours, but only by vote of three-fifths of the full Senate, normally 60 votes. Although the Senate was unable to reach a cloture vote to end Senator Cruz's filibuster, they could always be counted on to look good on Dancing With The Senators. 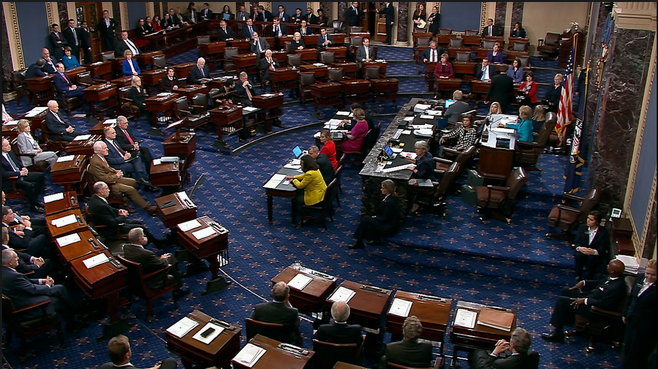 How many votes does it take to pass a vote of cloture? Which chamber of the Congress can use cloture to end a filibuster? How different would the U.S. political system be without Cloture?